I do not like President Barack Obama. No, it is not because he is Black, or that he grew up in Indonesia, or that he hung out with Communists and terrorists. It is not because he is a very Liberal Democrat or that I do not approve of his policies or that I don’t think he is a good President at all. The main reason that I do not like the President is because of the creepy cult that has developed among his more enthusiastic supporters. To them, Obama has never been just another politician, even a worthy one, but a Messiah figure, a world historical leader who is destined to change the course of history. I don’t want to make any comparison of Barack Obama to Hitler, or any other figure. He clearly is not, but politicians whose followers worship them make me a little nervous. Perhaps I am over reacting. Well, here is the new Obama flag. Jessica Alba wants to pledge allegiance to Barack Obama. The Obama campaign has launched its “For All” campaign, encouraging supporters to take pictures of themselves with their hands on their hearts and a note explaining why they support President Obama. Actress Jessica Alba uses the Pledge of Allegiance as an example of the campaign in an email to supporters. Alba joins Hollywood actresses Natalie Portman and Scarlett Johansson by photographing herself with her hand on her heart pledging to vote for Obama. Obama campaign staffers have also begun posting photos of themselves with the pledge. 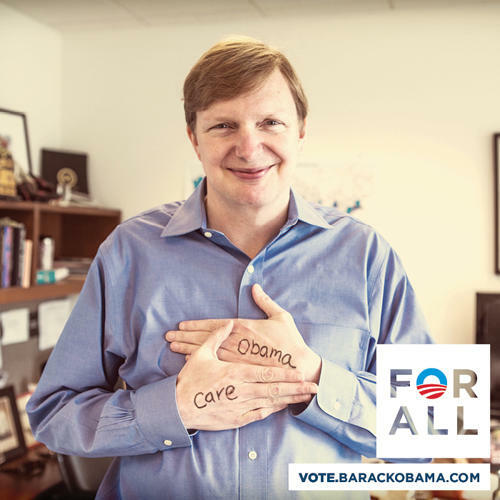 Speaking of creepy, here is Obama’s Campaign Manager making the pledge. I am not sure I want him sending me any more e-mail. Who can forget the Obama Children’s Choir. Go to Human Events for a more complete visual history of the cult. Even if Barack Obama’s policies were ones that I agreed with, that I felt were what was best for the country, I would still find all of this disturbing. I do not want any politician to be my savior. I prefer dull politicians like Cincinnatus who do the job and then go home without any hero worship.